Search engine optimisation is all about getting Google to recognise your website content as relevant and good quality, so that it appears higher in search engine results. You can improve your website’s Google ranking by removing or revising pages that don’t make the grade – but how can you tell which pages are considered low quality by Google? They have unique and relevant content (not just the same information repeated in a different way). Content is well written, grammatically correct and correctly spelled. They are well designed, with an intuitive user experience and are responsive across all devices. They load quickly on different devices and connection types. Images and videos have text alternatives. Plenty of high quality, external sources linking to a web page as reference. They are successful in answering a query (in other words, the searcher does not immediately click back to Google and choose a different search result). A high number of unique monthly visits. People visiting other pages on your website after landing on the home page. Lots of sharing activity on your social networks. Pages that have a high rank for their own title. High click through rates on Google Search Console. Quality is better than quantity when it comes to Google. Rather than trying to salvage any web pages that aren’t interesting, relevant or beneficial, it is probably best to just remove them. Content marketing is one of the most important aspects of getting a good Google ranking. Take the time to write superb content that is unique and relevant, or consider hiring a digital marketing agency to ensure that it is the best quality possible. Pay attention to your grammar and spelling. 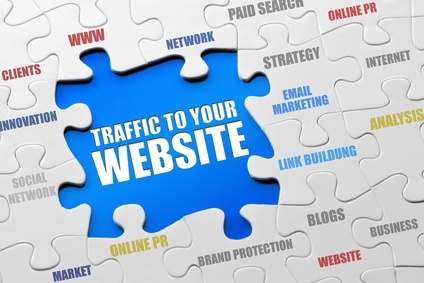 Not only is poor content off putting to Google, but to your website visitors too. The more external websites (that are considered high quality by Google) that link to your website, the higher your Google ranking. The best way to achieve genuine links is to build real relationships with websites offering related services. For example, offering to write a guest post on a popular industry blog, that can then link back to your website. You can also purchase quality links to improve your ranking, but organic and ‘real life’ links are always best. If you need to pay a professional to update your web design, then do it. Websites that are beautifully structured and designed to be user friendly, intuitive and mobile responsive are excellent for search engine optimisation. Sharing your website content via social networks such as Facebook, Twitter, Instagram and LinkedIn is a relatively easy way to gain exposure that will be picked up by Google. The more your posts are shared, the more people that click through to your website via social media, the more Google will consider your content to be relevant and thus high quality. Find out more about how to boost your website’s SEO through expert digital marketing – contact us today for further information.